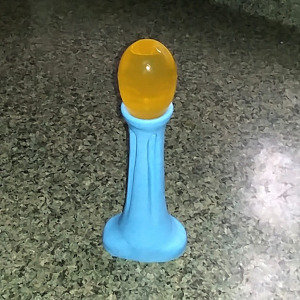 Our new Egg Insertion Tool is designed to make egg insertion into your ovipositor much easier. Holes in the cup portion allow the egg to be released inside the toy without suction pulling it back out with the tool. Made from very firm silicone, they are as easy to clean as any of our other toys. This video demonstrates the Egg Insertion Tool with the BedBug! Note: this tool is not recommended for the Squick. The tool is too large and you're gonna have a bad time.